be used as a guide. Please call our office if you would like to be sent a sample in the mail. 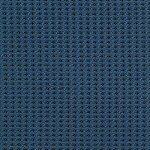 Ambience is a waffle weave textured upholstery fabric that looks beautifully plush when upholstered. 100% Polyester so it also meets C.T.A Standards for Heavy Duty Commercial use.